La Terrasse incorporates modern comforts in every room. The living area boasts a sunny south facing aspect with stunning panoramic views and fireplace. You will be personally welcomed by the owners Phil, and Louise, who is a qualified chef. Luxury 7 seater hot tub! panoramic views of the Giffre Valley and Grand Massif ski area. 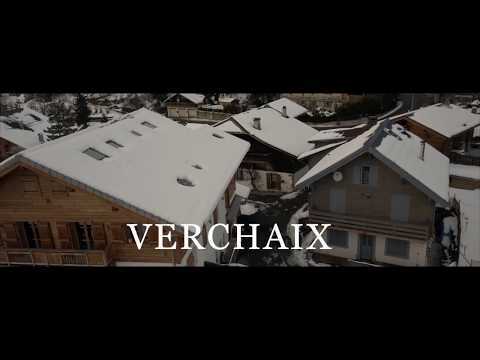 Verchaix is the ideal venue for an activity orientated, all year round family holiday. Dates: 05 Jan 20 - 07 Feb 20 Grab your skis and your friends, we can sleep up to 21 singles, or a mix of singles and doubles, all rooms en-suite. Offer applies to catered weekend breaks in January and end of March 2020, minimum 3 nights. Price per person 345 euros, 3 nights, book 13 receive 1 free place, book 19 receive 2 free places. We are the short break specialist for the Grand Massif - just 1 hour from Geneva airport, you can stay 3 nights and ski 3 1/2 days, flexible arrival and departure days and lenght of stay. La Terrasse’ is a friendly modern chalet, ideally situated just one hour by road from Geneva, on the sunny slopes of the strikingly beautiful upper Giffre valley. Directly opposite are Morillon, 5 minutes, Samoens, 10 minutes, which link easily to Flaine, Les Carroz and 265kms of piste which form the Grand Massif range, Frances 4th largest ski area with an altitude of 2500m. · Quick and easy mini-bus shuttle service and free ski bus - no walking in ski boots! Chalet Mia - La Terrasse de Verchaix is a 199m² modern spacious self catering property with south facing balcony and stunning mountain views. Sleeping 15 over 5 bedrooms, all en-suite our chalet features a spacious modern sunny south facing open plan living room with large comfy sofas, very well equipped kitchen and dining area with seating for 15, with fireplace,large HD TV (smart TV) with DVD player, free WiFi and a large selection of board games. On the lower ground floor there is a heated ski room leading out to the hot tub with magnificient views. The village has free parking and the ski bus departs just 50 metres from the door. Flexible dining options are available –meals to suit, maximum 3 evenings per week. The chalet is ideally situated just one hour by road from Geneva, on the sunny slopes of the strikingly beautiful upper Giffre valley. Directly opposite are Morillon, 2.5km, and the lovely alpine village of Samoens, 5km, which link easily to Flaine, Les Carroz and 265kms of piste which form the Grand Massif range, Frances 4th largest ski area with a snow sure altitude of 2500 metres. service for lift pass sales, restaurant reservations etc. Contact Louise stay@terrasse-de-verchaix.com or call 0033641472379, I am also on WhatApp, so give me a call to discuss your holiday requirements! Chalet Mia - La Terrasse de Verchaix is a 199m² modern spacious self catering property with south facing balcony and stunning mountain views. Sleeping 15 over 5 bedrooms, all en-suite our chalet features a spacious modern sunny south facing open plan living room with large comfy sofas, kitchen and dining area, with fireplace,large HD TV (smart TV) with DVD player, free WiFi and a large selection of board games. On the ground floor there is a cosy residents bar with a separate access, and a lower ground floor with heated ski room leading out to the hot tub. Outside there is free village parking and the ski bus departs just 50 metres from the door. Flexible dining options are available –meals to suit, maximum 3 evenings per week. The chalet is ideally situated just one hour by road from Geneva, on the sunny slopes of the strikingly beautiful upper Giffre valley. Directly opposite are Morillon, 2.5km, and the lovely alpine village of Samoens, 5km, which link easily to Flaine, Les Carroz and 265kms of piste which form the Grand Massif range, Frances 4th largest ski area. You can find a selection of restaurants and an artisan bakery in Verchaix 1.5km down the hill, and Morillon village centre is 2km, Samoens is 5km, where you will find the tourist office, ESF, restaurants, bars, pharmacy, and shops. The nearest supermarket is 3km. A car is recommended. Delicious 3 course evening meal followed by coffee (on 6 nights) in our spacious dining room/lounge with panoramic valley views. The jewels in our Alpine crown are undoubtedly the terrace which offers quite simply the best views of the valley in the whole of the valley! Louise is a trained chef, favouring international cuisine alongside some of the region's speciality dishes. During your stay with us, you have to try the house speciality, ‘Potence Flambé au Whisky' ... it isn't available anywhere else in the vicinity! We are pleased to present a fine selection of Savoie wine and cheeses, we also offer mouth-watering regional specialities, such as Tartiflette, and Berthoud. Our terrace is open to diners during the summer months, weather and temperatures permitting of course! In house lift pass sales (credit card only) no need to que!